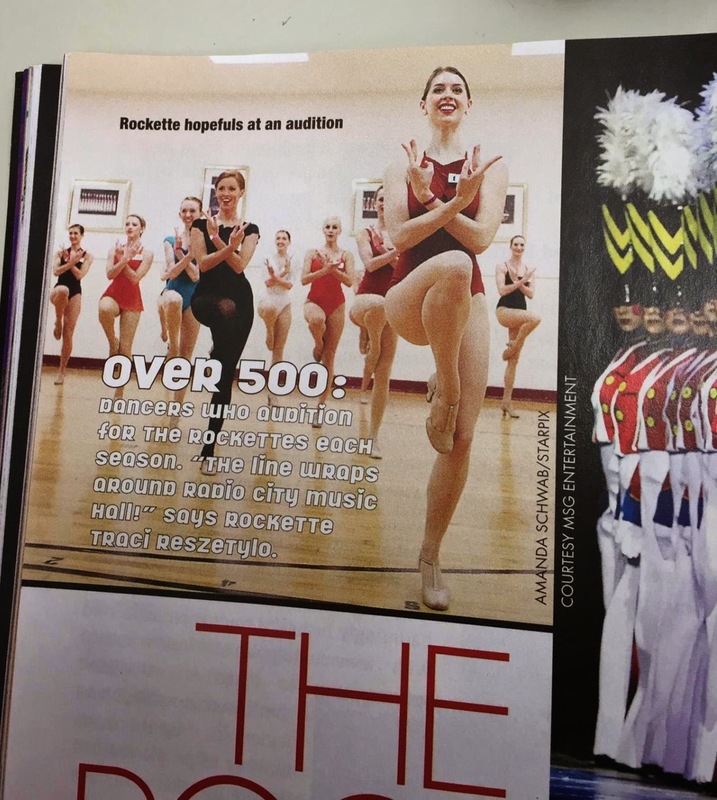 Yours truly in the December issue of Dance Spirit Magazine. Hello Blog World! We meet again. Recently, I've found myself lying awake at night formulating posts in my head, dying to share my adventures. However, I’ve been too busy enjoying them and spending what little time I have left with my friends to do so. This year has been a whirlwind of mostly highs and a few lows. I quit my 9 to 5 desk job, performed with Eros Movement Company, traveled to Europe to visit my former boyfriend, made it to the end of the Rockette audition twice, joined the Steps on Broadway work/study program, did some more modeling, moved away from my once beloved NYC, and booked another dance job. 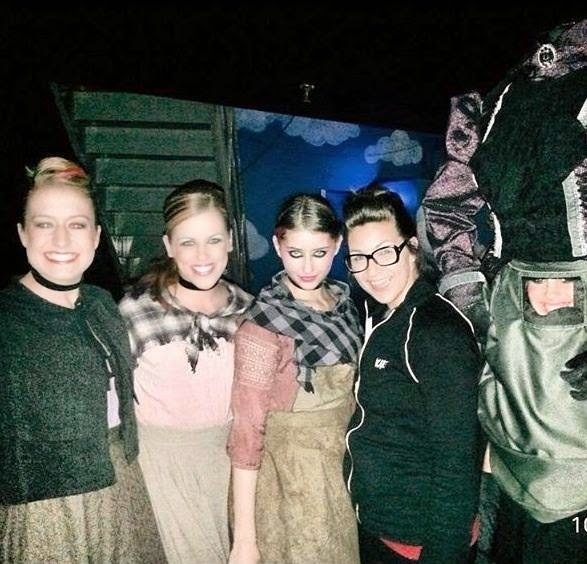 My most recent job is at Busch Gardens Williamsburg where I danced in Monster Stomp, choreographed by Jeff Whiting. The show was completely revamped and it was really interesting to be a part of that process. Things were constantly changing, the show was on a raked stage, and I learned more partnering skills. I feel that I have certainly become a stronger dancer. It was during this contract that I became close with a group of girls whom I consider sisters. I actually knew one of them from assisting the Rockette Summer Intensive together in 2011 and another from working on the same cruise ship. Small world! These are the ladies who will be at my future wedding and I will make a major effort to keep in contact with despite living all over the country. We are “The Girls,” afterall. We were all asked to stay through the end of the year to perform in Deck The Halls, choreographed by Karma Camp. I am having a blast with this one since I get to be a tap dancing reindeer and listen to Christmas music all day long. Once again though, I find myself struggling with the fact that many relationships are fleeting in the entertainment industry. I have met so many incredible people who have allowed me to further realize exactly what I do and do not want in life and in relationships. Up next? Audition season. I will also head to the sunshine state to spend time with my mom, get some vitamin D, and begin training for the Rockette audition. Copyright @ Beveling Brunette by Rachael Switzer. Theme by MangoBlogs.